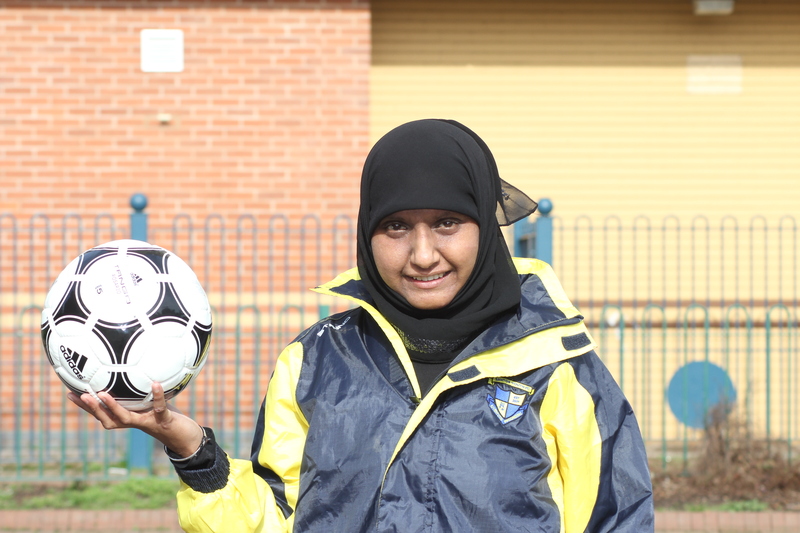 This was a storie about the first asian girl Annie zaidi and how she had passed her FA level 2 coaching badges. This was a really nice storie as you do not see many asians girls that have done this because of their religion but she really shows her passion when she speaks and she says that she sees herself just like the girl in the film bend it like Beckon. 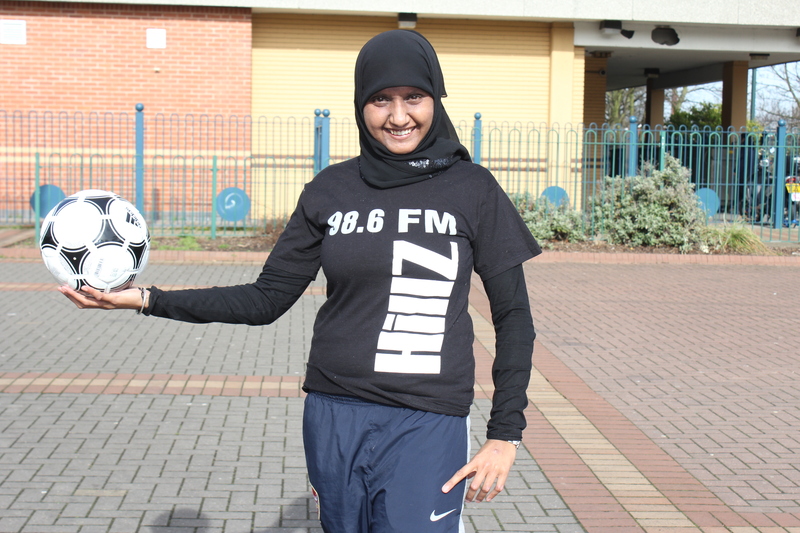 I went with the reporter Sam Dimmer to do the photography, she was at the hillz fm radio station in the Coventry City Centre. 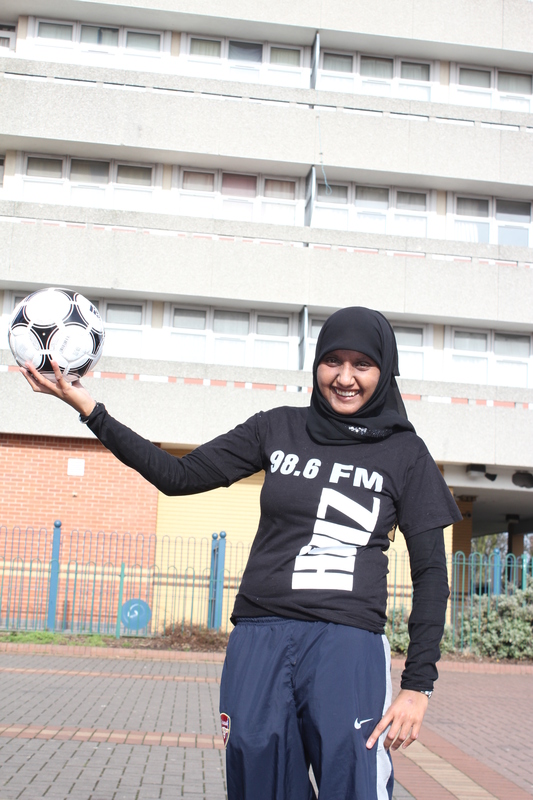 I got some really nice shots of her, I thought that because football is her passion then I would capture her as she poses and holds the ball. There was a photograph used in the Coventry Telegraph and then my other favourite photograph which was a wide shot and it had the long big building of flats behind was printed in the Nuneton Telegraph. I was so pleased to see my images and Annie was great to work with along with the reporter, what did dissapoint me though was that my name was not printed to say that it was my photograph, and it is really nice to see your name printed. You are currently browsing the Dbridgewater's Blog blog archives for April, 2011.